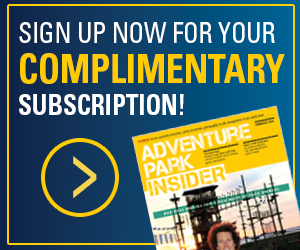 Read the latest news from around the zip line and adventure park industry. New park openings, incidents, supplier news, standards updates and more. Please email Sarah Ebbott sarah@adventureparkinsider.com if you would like to submit a Park Brief. Not many folks think of visiting a bowling alley as an adventure. But HeadPinz, a new 50,000-square-foot multi-use entertainment attraction in Fort Myers, Fla., could change that. A measles outbreak that began in December at Disneyland and California Adventure in Anaheim, Calif….